A review of “Calvin on the Christian life: Gloryifing and Enjoying God Forever” by Michael Horton. This objective was grounded on the belief that doctrine and life go together. As Calvin explained in the Institutes, salvation starts with the doctrine of the gospel, but it can’t end there. Doctrine “must enter into our heart and pass into our daily conduct.” The gospel “is not a doctrine not of the tongue but of the life.” Using the Institutes as a primary guide, Michael Horton helps us to see this vision of piety in Calvin on the Christian Life: Glorifying and Enjoying God Forever. Horton begins with some introductions and a brief biography of Calvin. Then, in chapter 3, he develops Calvin’s theological foundation for Christian living: knowledge of God and of ourselves in relation to Him. “Nearly all wisdom we possess, consists in [these] two parts,” wrote Calvin. Chapter 4 explains the way we receive this wisdom: as a story of redemption, not as a set of proof texts. In chapters 5 and 6, Horton explores Calvin’s doctrine of Christ as our mediator and the gifts that we receive in our union with him. Chapters 7–11 describe the ways we receive these gifts and how sanctification occurs in the family of God. These chapters are filled of insight and practical applications for piety. The same is true for the final chapters. In the final chapters, 12–14, Horton consider the Christian’s life in the public square. He puts Calvin’s ideas in their historical context and shows how Calvin’s view of Christ and culture “is more complex and even paradoxical” than some assume. I would add that those who think they already know Horton’s opinions on these matters may be surprised by what they read. 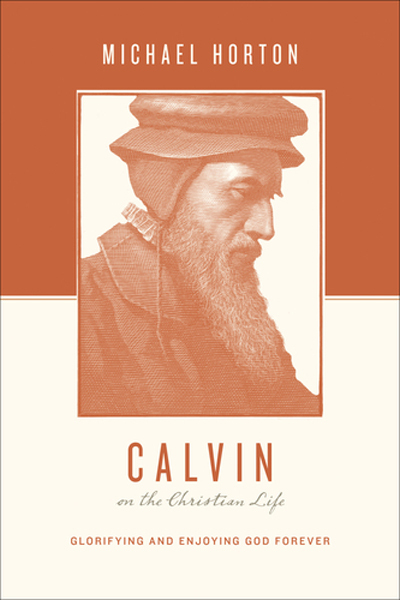 Altogether, the book succeeds in showing the organic connection between Christian doctrine and Christian living, as seen in both Calvin’s thought and life. Occasionally the book seemed to lose this focus when the implications for piety were more assumed than stated, but Horton never strayed from his main objective. I particularly enjoyed three things about this book. First, Horton is a master at summarizing Calvin’s ideas in an accurate and memorable way. This is impressive, especially considering how good Calvin was at communicating his own ideas! Second, Horton helps in highlighting some overarching motifs in Calvin’s theology. For example, Calvin’s use of the idea “distinction without separation“ and his deep compassion for the weak. Third, the book was inspiring. Horton shows us that Calvin is a worthy example to follow, not because he was perfect, but because he knew what it meant to believe and live in light of the cross. By that same light, we are encouraged to do the same, for the benefit of others and to the glory of God. This review is slighty revised from the original that was first published in New Horizons, October 2015, 21-22. It is reprinted here with permission.